No, I will not look at the Christmas décor in the stores or the oodles of Christmas ideas that are popping up all over Pinterest already. It is September. We still have a whole week left of September, as a matter of fact! Halloween is my family's second-favorite holiday and we are getting into the spooky and fun of monsters, ghosts, pumpkins, and vampires. 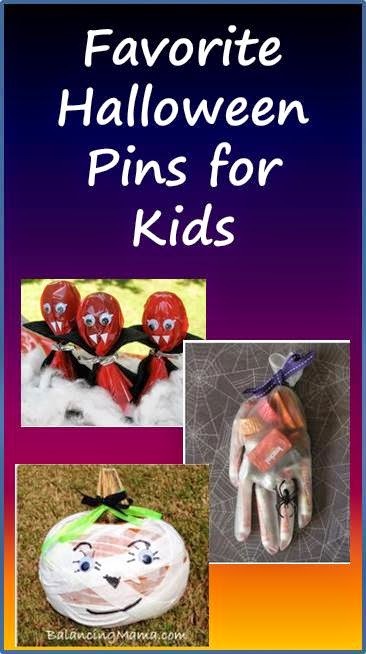 First up, my own pin from last year - a fun no-carve solution for young children to decorate all by themselves. 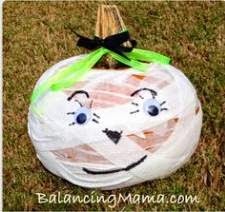 The Mummy Pumpkin. 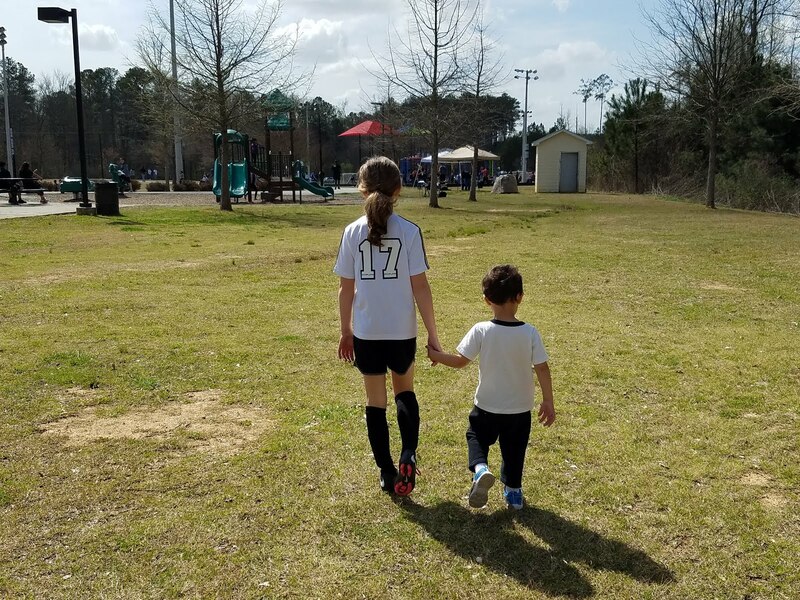 Want a keepsake for years to come? 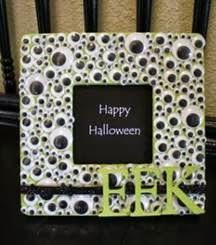 How about the Eyeball Photo Frame? Let your school-aged child glue on countless wiggly eyes to an inexpensive photo frame. Then snap a great costume photo on Halloween night and save the memento as décor for the following year. 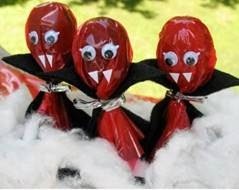 And finally, perhaps my favorite idea of them all - check out these treat bags! 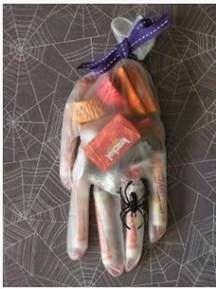 If I can lend a hand at a school party with some treats, I want to make these Severed Hand Goody Bags.